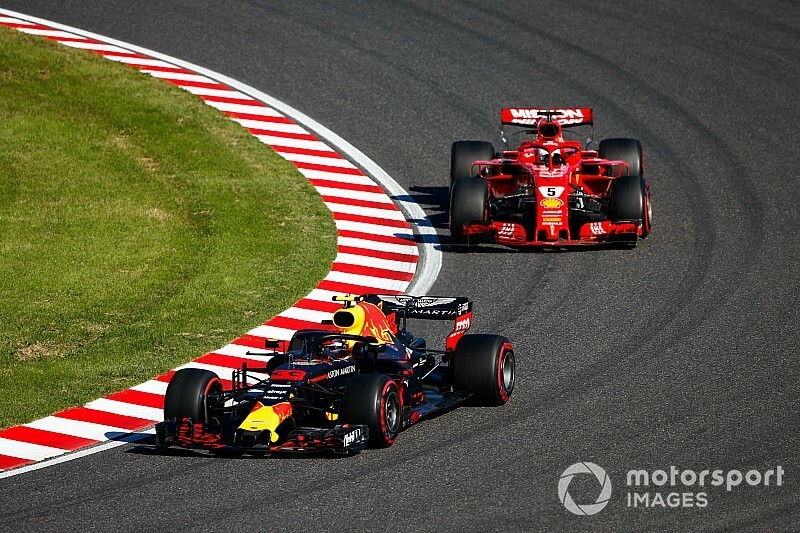 Verstappen: Vettel drove into me, Raikkonen penalty "stupid"
Verstappen: Vettel drove into my car, 5s penalty "stupid"
Max Verstappen feels Formula 1 rival Sebastian Vettel "drove into the side of my car" in their Japanese Grand Prix clash, which the Dutchman likened to their earlier collision in China. 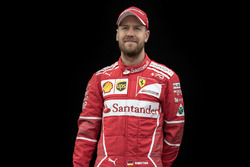 Vettel challenged Verstappen for third down the inside of the Spoon left-hander after an early-race safety car restart, which resulted in a collision and sent the Ferrari driver spinning. "In that corner you cannot overtake," he said. "I even gave him space. But he understeered into my car." 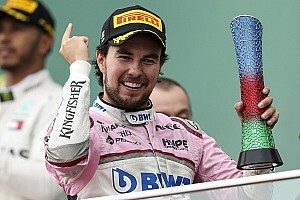 And when asked whether Vettel deserved a penalty for the move, Verstappen compared it to his ill-fated divebomb on the German in the closing stages of the Chinese Grand Prix – which spun both drivers around and yielded a 10-second penalty for the Dutchman. 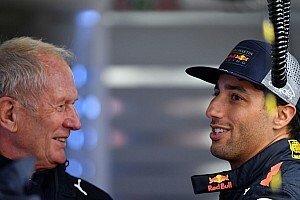 "I'm not the one who makes the rules otherwise a lot of penalties would have been avoided in F1, but I think it is a similar scenario to what I had in China with him," Verstappen said. 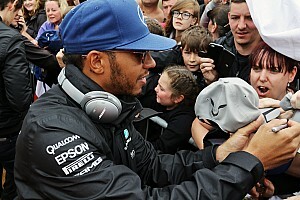 "Of course we didn't spin off the track [like in China], but he drove into the side of my car. "He could have been a bit more careful." Verstappen's run-in with Vettel was set up by a previous incident with the German's Ferrari teammate Kimi Raikkonen, which dropped the Finn behind Vettel. 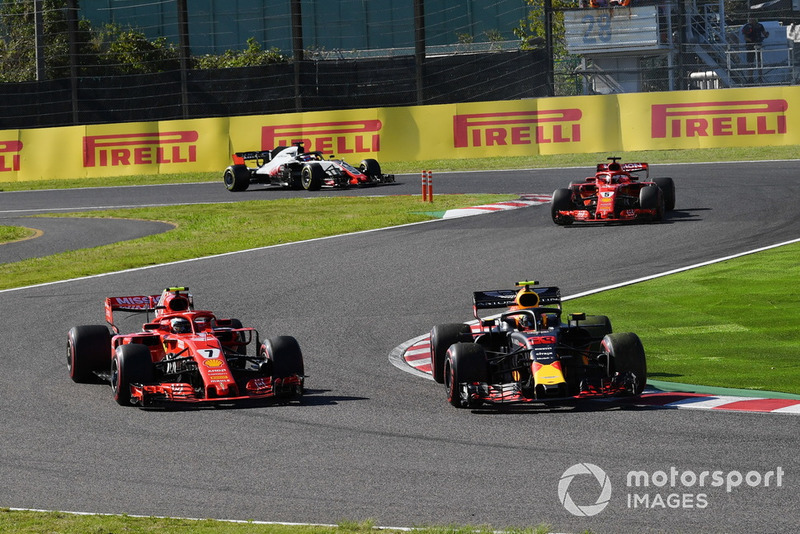 The Raikkonen clash had been triggered by Verstappen locking his right front on approach to the final chicane and missing the corner, skipping across the grass to return to the track. Raikkonen tried to clear him round the outside of the second part of the chicane, only to be forced off by the rejoining Red Bull, which was subsequently assessed a five-second time penalty. 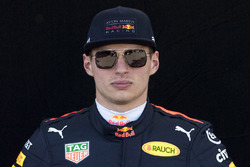 Verstappen went on to finish third regardless, and when told by team boss Christian Horner after the race that he wouldn't be "too popular with Ferrari and the Italians", he jovially replied: "That's not my problem, they were too aggressive." "The first one I totally don't agree with," Verstappen said after the race in reference to the penalty for the Raikkonen clash. "I locked up and I could easily have cut the track, I made my best effort to get back on track. "And he chose to go around the outside, he could have waited for me to understeer wide. "So I don't know why I got a penalty. It is a bit stupid." When speaking to Sky Sports about the sanction, Verstappen said he was now incentivised to instead cut the chicane in full - like Valtteri Bottas had done ahead of him late in the race. "If I get a five-second penalty for that, then next time I'll just cut the track and do it like Valtteri. "I was just trying my very best to still make the corner and not make it look like I'd locked up and just cut the corner. 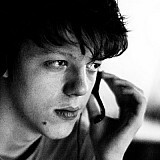 But I know what to do next time now."